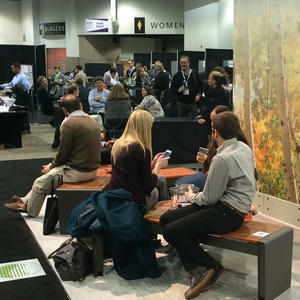 Thanks for Joining Us at ASLA! This year’s event in Denver was a huge success. 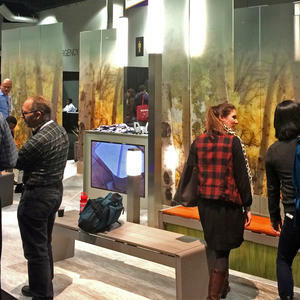 In addition to being the second-most attended ASLA Expo in history (first place goes to last year’s show in Boston), it was a bustling time at the F+S booth as friends old and new dropped by to say hello and explore our newest designs. 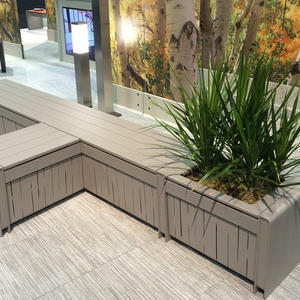 Our new Vector Seating System was the perfect place for visitors to rest and relax, chat with members of the F+S team, or gather with clients and colleagues. 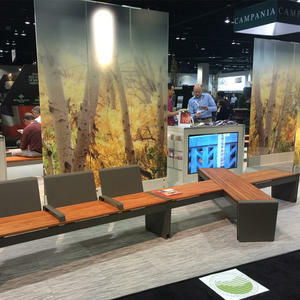 Different Vector configurations provided ample seating as well as ample opportunity to see a few of the line’s many design possibilities: seats with aluminum and FSC 100% Jatoba hardwood slats, benches with and without LED accent lighting below the seats, and variations with stainless steel and VividGlass side panels. 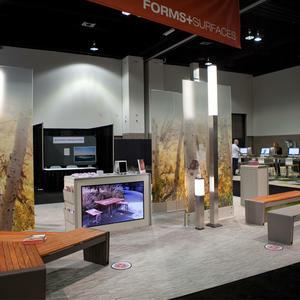 Our Rincon LED Bollard was also on display, along with its up-and-coming partner product: Rincon Pedestrian Lighting. Previewing to extremely positive response, this taller variation of the bollard will formally launch in the first quarter of 2015 – stay tuned! 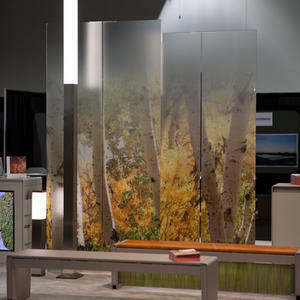 ViviGraphix Gradiance glass panels offered a vibrant introduction to our newest glass capability: custom Vapor patterns. 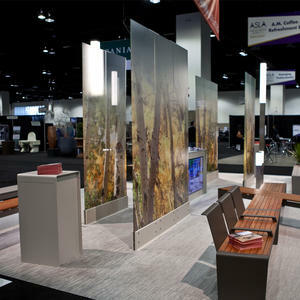 Like all Gradiance designs, which consist of a graphic interlayer laminated between two lites of glass, Vapor can fade from opaque to clear in numerous ways, thanks to almost imperceptible pixels in the pattern that transition from densely populated opaque to transparent, and eventually disappear. 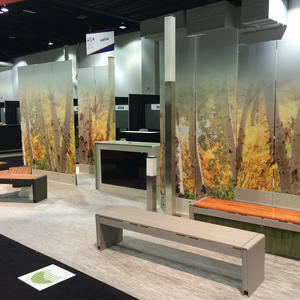 Now, custom Vapor patterns bring that transitional effect to graphic interlayers that incorporate continuous tone color imagery – as illustrated in our booth by the Zoom Aspen Grove. 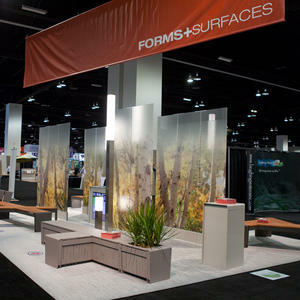 Finally, each year at the Expo, ASLA asks attendees to vote for their favorite booths in a variety of categories. 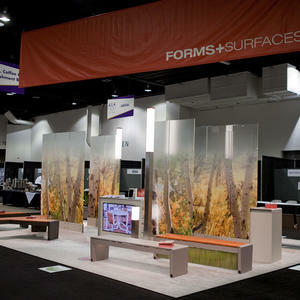 This year, Forms+Surfaces was voted the winner in the “Most Interesting Product” category. 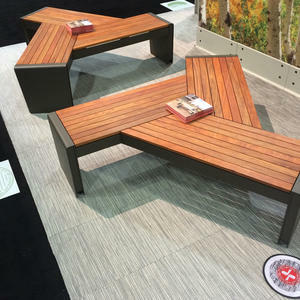 We were honored to win the category that epitomizes what the Expo is all about: the products.